DAMAC Towers by Paramount Hotels & Resorts is a hotel and residential complex located in the heart of the stylish Burj area, Dubai. This four-tower development comprising circa 1,200 luxury serviced suites in three towers, will offer sumptuous living with a Hollywood flavour. A fourth tower will house the world’s first Paramount Hotel and Paramount Residences. Each of the four towers stretches over 250 metres in height, joined by a multi-level plaza. One of the largest construction projects in Dubai is now heading skywards. Sophisticated yet inviting, suites feature contemporary design cues where elements of the California lifestyle are transported to Dubai in a distinctive ‘Hollywood studio’ feel. Residents and guests can enjoy high-end shopping with the perfect combination of global luxury and California cool, just like Rodeo Drive. Every possible luxury is just moments away at DAMAC Towers by Paramount Hotels & Resorts – you couldn’t wish for a more iconic neighbourhood. 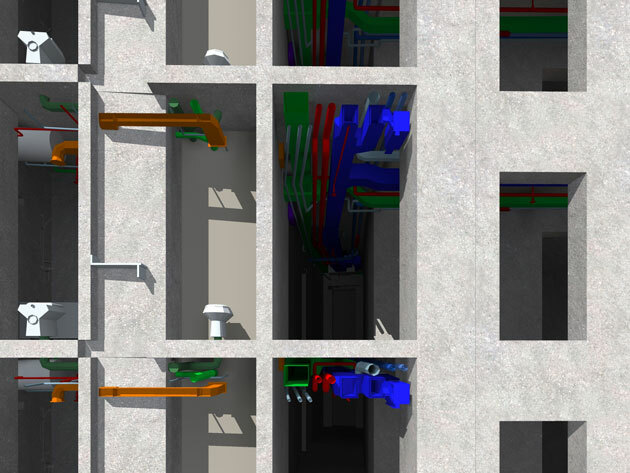 BIMES was hired as a BIM consultant of this project, at the very early stages, helping the team with many tasks along the project. 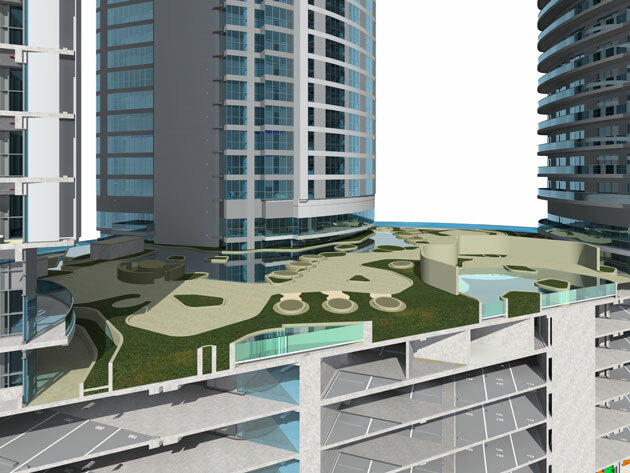 Being hired by the developers provided support to all stakeholders when needed, since the ultimate task is to support the project, Considering the significance of the project DAMAC took a decision to implement BIM in the project during construction, the benefits are clear, from Documentation auditing, spacial coordination, quantities verification, and studies extracts that supported the team to take decisions on many tasks that needed visual feedback. Overlooking the Palm Jumeirah, DAMAC Heights offers an exclusive selection of apartments. A multiple award-winning 86-storey tower that represents the very height of marina living and wake up to breathtaking views of Palm Jumeirah, every day. The project is unique, awarded Best International Residential High-Rise Architecture 2014 among several other awards, made the task challenging, every floor has a different floor plate, the smoothness of the bends, the smart relations between the shell and the structural elements, the massive size of the building, and the elegance of FENDI interiors. BIMES was appointed as a BIM consultant of the project during construction, working closely DAMAC team, the consultant and Contractor team on site, BIMES started with the design drawings, and kept on updating the model with shop drawings, and as built. Emaar Malls, The developer of premium shopping mall and retail assets, With a gross leasable area of over 5.8 million sq ft in Dubai, Emaar’s mall assets include The Dubai Mall, Dubai Marina Mall, Souk Al Bahar, and Gold & Diamond Park. Emaar Malls’s expertise extends to the creation of community centres in each of its master-planned communities. The community centres, which vary in size, serve a common goal – to provide refreshing and convenient choices in retail and leisure in every Emaar community. 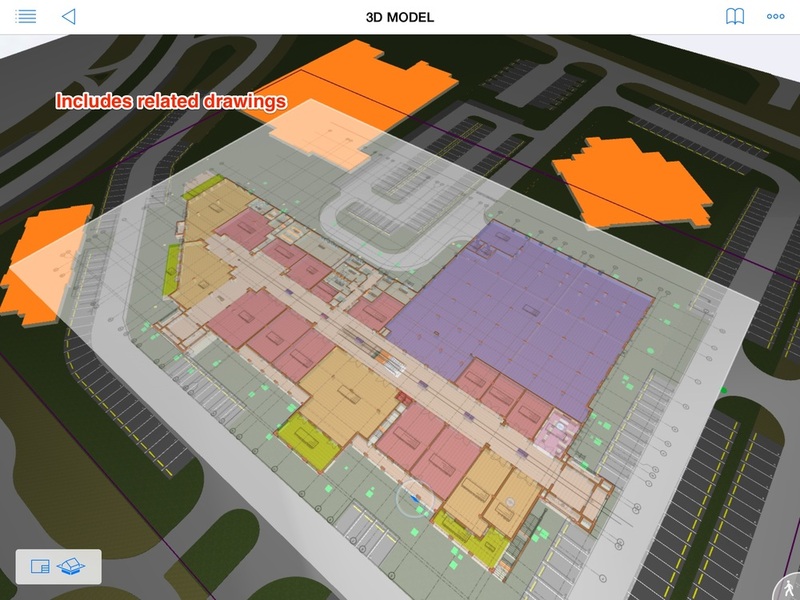 The task with Emaar Malls was a bit different, were we were hired to create an as-built BIM model together with related assets information and Operation Manuals. Using the state of art BIMx and BIMcloud, Emaar Malls installed one of the most advanced BIM solutions in the market, where BIMx and BIMcloud ensured the seamless communication between staff on ground, and technical teams. 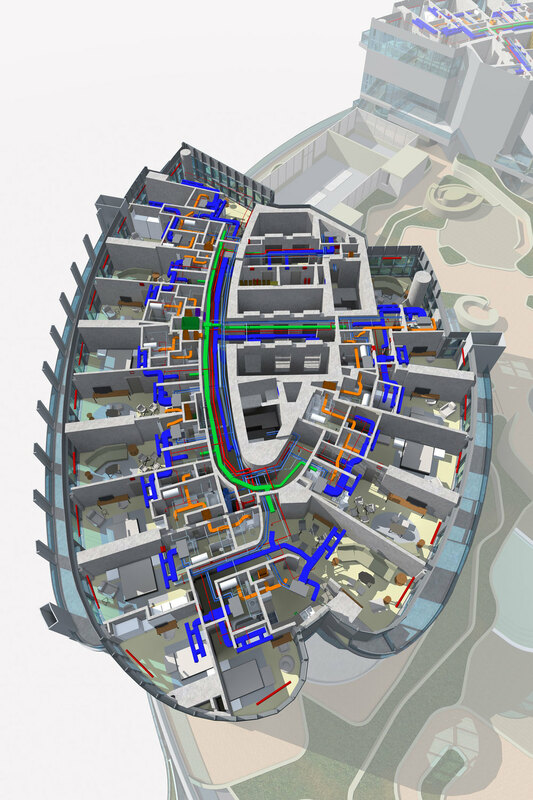 The Solution was a combination of ARCHICAD as the Authoring tool, BIMcloud as the communication medium, and BIMx as a mobile app allowing teams on site to access the information and communicate. The task started with using As-built drawings to model and verify all Structural, Architectural, and MEP systems, together with verifying all related handover documents (Operation Manuals..etc). Model contained all verified architectural, structural, and MEP elements for all public areas. And Thanks to BIMx, all the required info, is available for teams on site, on their mobile devices including : Elements specifications, tenants approved drawings, and the ability to communicate with the engineering team directly through BIMx, using markups, live photos, and position location, directly in their ARCHICAD.